Certified Accounts Payable Associate (CAPA) is a professional certificate for accounts payable specialists. You'll have to demonstrate your knowledge and competency as an accounts payable specialist to earn your CAPA. You'll also have to meet education and work experience as well to earn this designation. You'll get access to news, publications, white papers, and research reports to help you deliver more value towards small businesses in managing the accounting payable processes. The Institute of Financial Operations is the accrediting agency dedicated to promoting the advancement of accounts payable professionals. Members of the institute receive the quarterly, award-winning publication Financial Operations Matters, which has industry leaders covering topics that include accounts payable, automation, data capture, internal controls, and more. The Institute of Financial Operations hosts meetings, workshops, and other events throughout the country to help its members network and learn the industries best practices. According to the Society of Financial Examiners' website, "The Institute of Financial Operations serves as a global voice, chief advocate, recognized authority, acknowledged leader, and principal educator for people in financial operations, with a particular focus on accounts payable, accounts receivable, and information management/data capture." Customer relationships and staff management. Invoice handling, voucher matching, procurement card procedures, and payment processing. Travelcard administration and employee expense reporting. Understanding internal controls, including vendor master files, cash management, audits, and fraud control measures. Tax reporting, including sales and use tax, income tax, and other tax issues affecting small business owners. Accounting software and technology knowledge will also be tested on the exam. You'll need to do more than just pass an exam to get the CAPA certification. You'll need at least one year of experience in an accounts payable position if you've got a bachelor's degree in accounting or finance. Otherwise, you'll need three years of work experience. You'll also have to have gained this experience around the time you're taking your CAPA exam—experience ten years ago just won't cut it. These requirements ensure that you'll have not only a theoretical understanding of the materials but a real-world, practical experience dealing with the subject matter covered on the exam. After earning the CAPA designation, you'll need to continue to demonstrate your commitment to learning through taking continuing education classes. You're required to earn at least 25 continuing education credits within a two-year period. You'll have knowledge of the latest accounting software and other technology for managing the payables of small businesses. Your image as a competent, trustworthy valuation accounts payable expert will be enhanced. You'll get access to industry events and workshops to help you build your knowledge and share your ideas with other industry professionals. You'll get access to the best practices for managing, controlling, and monitoring the accounts payable processes from other industry professionals. You can find more information by visiting the CAPA designation by visiting The Institute of Financial Operations' website. 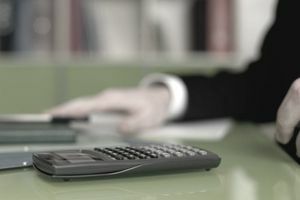 Does Your Business Need a Bookkeeper, Controller or CFO?